More than forty years ago, Los Angeles experienced a terrible earthquake, one of the worst in the city’s history. I remember the event because just before the earthquake, I had driven a friend of mine to the airport so that he could catch a flight to Los Angeles, where he was a pastor. The earthquake affected his church, and he later told me that at first everything seemed to be fine with the sanctuary building. Although there was no visible damage of any significance, a later inspection revealed that the foundation of the church had shifted to such a degree that they had to close the church and rebuild the sanctuary because it was no longer safe. To any casual observer, it seemed like the sanctuary was stable. However, in reality it was unfit for use, and it had to be demolished and rebuilt upon a sure foundation. 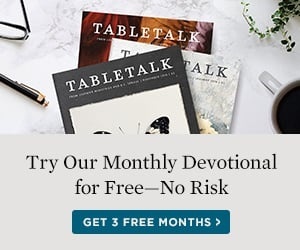 In Psalm 11:3, David asks the question, “If the foundations are destroyed, what can the righteous do?” David draws on an analogy in the physical realm to depict a particular spiritual concern that he had. If the failure of a building’s physical foundation spells the end for the entire building, the failure of God’s people to maintain the foundation of truth means disaster for their spiritual health and well-being. We can apply this idea to the church. If the foundation of the church is shaken, can the church survive? No. But what is the foundation of the church? Answering that question correctly will help us guard the foundation and preserve His truth. I’ve often taught on this subject—the foundation of the church—in my years of ministry. I’ve often pointed out that while the author of the line, “The church’s one foundation is Jesus Christ our Lord,” had his heart in the right place when he was writing his hymn, the line itself is a conduit of misinformation. With respect to the foundation of the church, Scripture does speak of Jesus as the foundation: “For no one can lay a foundation other than that which is laid, which is Jesus Christ” (1 Cor. 3:11). However, that is not all that the New Testament says about the church’s foundation. Paul says in Ephesians 2:20 that Jesus is actually “the cornerstone.” Jesus is called the foundation because He is the linchpin, as it were, for the entire foundation. But there are other stones in this foundation. What, then, is the rest of the foundation? The foundation, Paul tells us, consists of the prophets and the Apostles (Eph. 2:18-21). In Revelation 21, we read of the magnificent vision of the New Jerusalem, the heavenly city that comes down from above. Verse 14 tells us that “the wall of the city had twelve foundations, and on them were the twelve names of the twelve apostles of the Lamb.” Even the heavenly Jerusalem is based upon the foundation of the apostles. Historically, the Christian church is, in its very essence, Apostolic. The term Apostle comes from the Greek word apostolos, which means “one who is sent.” In the ancient Greek culture, an apostolos was first of all a messenger, an ambassador, or an emissary. But he wasn’t just a page. He was an emissary who was authorized by the king to represent the king in his absence, and he bore the king’s authority. The first Apostle in the New Testament was actually Jesus, for He was sent by His Father into the world. We get the fullest picture of what it is to be an Apostle by looking at what He says in the New Testament about this role of His. Jesus said, “I do nothing on my own authority, but speak just as the Father taught me” (John 8:28). Christ told His disciples, “For I have not spoken on my own authority, but the Father who sent me has himself given me a commandment—what to say and what to speak” (12:49). He said, “All authority in heaven and on earth has been given to me” (Matt. 28:18). Jesus was granted authority by God the Father to speak on behalf of the Father and to deliver His Father’s Word, so Jesus’ teaching had God’s authority. The Apostles spoke with a transferred authority from Christ to deliver His teachings. The Apostles taught with the authority of Jesus, who taught with the authority of God. Therefore, as the church father Irenaeus argued long ago, to reject Apostolic authority is to reject the authority of Jesus. And in the final analysis, to reject the authority of Jesus is to reject the authority of God. What we have here in the concept of Apostolic authority is of vital importance to the Christian faith. But how do we recognize Apostolic authority? By submitting to the Apostolic tradition. In 1 Corinthians 15:3 Paul tells us, “I delivered to you, first of all, that which I also received,” and he uses the term paradosis, which is the Greek term we translate as “tradition.” Paradosis literally means “a giving over, a transfer,” and that’s what the New Testament is. It is the Apostolic tradition that the church has received. The church received it from the Apostles, who received it from Christ, who received it from God. That’s why when we reject the teaching of the Apostles—the Apostolic tradition of the New Testament—we’re rejecting the very authority of God.